The Akai APC Mini is a new compact controller designed to give you hands on control over clip launch and mixer functions within Ableton Live. 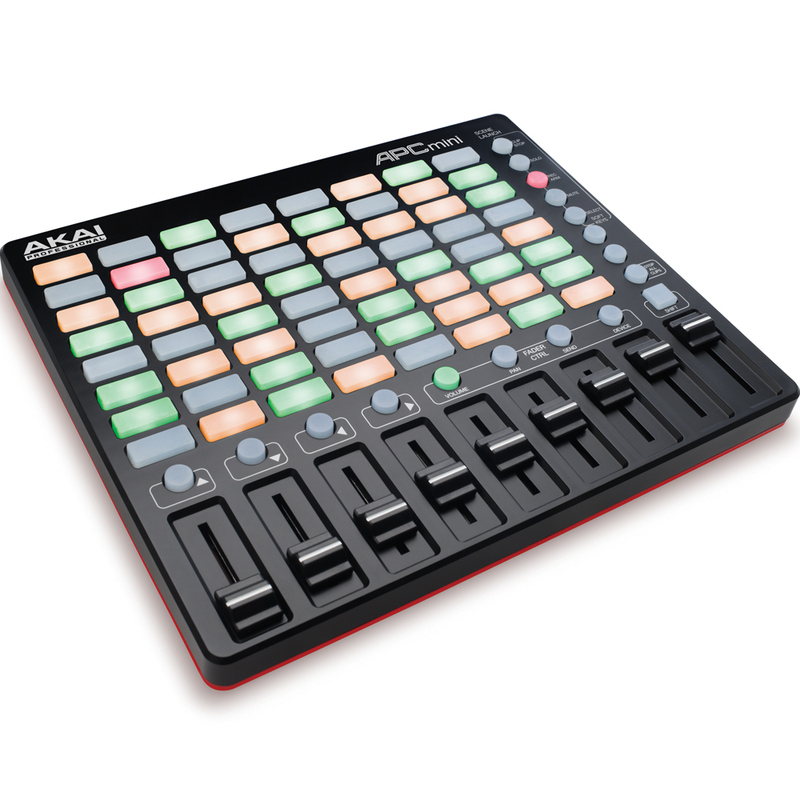 APC mini is the most portable all - in - one Ableton controller solution with Akai Pro build quality. Engineered for the mobile musician or producer, APC mini concentrates the essent ial features of the APC40 mkII into a space - saving design. An expanded 8x8 multicolor clip - launching grid, 8 channel faders, and a compact chassis provide unprecedented hands - on control over Ableton Live with a small footprint. The APC mini is also USB - pow ered and supports plug - and - play. In 2009, Akai Professional collaborated with the creators of Ableton Live, a powerful music performance and production software environment, and introduced the original Ableton Performance Controller—APC40. 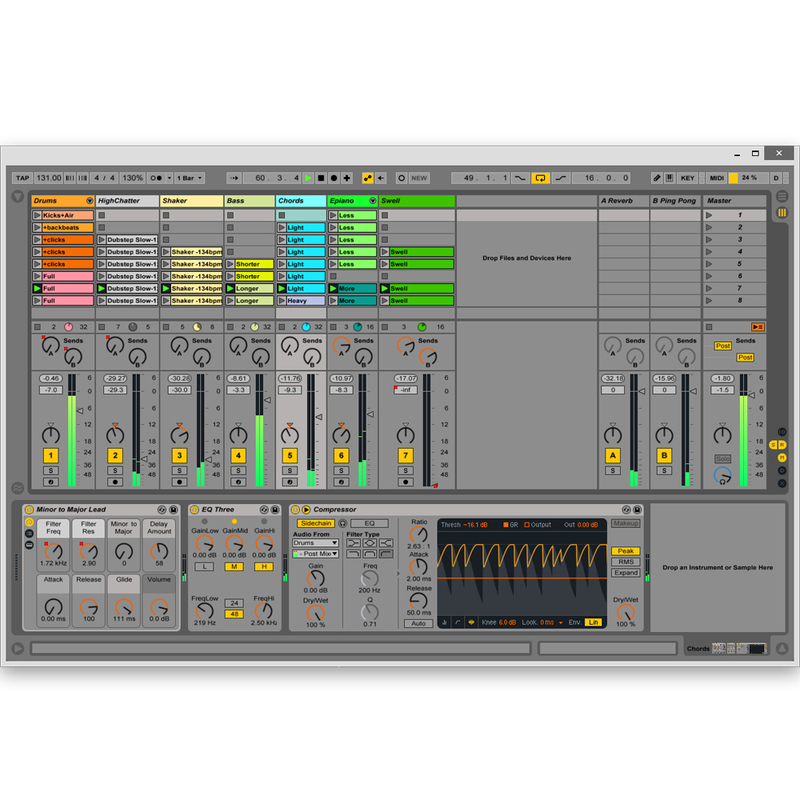 The instrument raised the standards of controller design, revolutionized hardware and software integration, and proved to be an essential tool for Ableton Live users everywhere. Now, after incorporating five years of user feedback into their development, Akai Professional builds upon this original partnership by introducing three new APCs—APC40 mkII, APC Key 25, and APC mini. 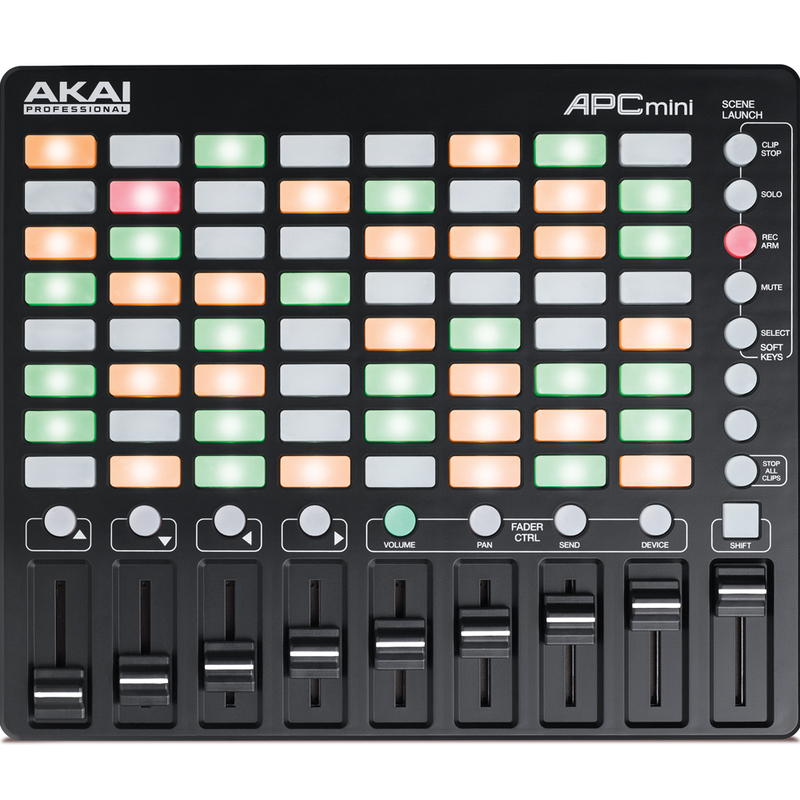 APC mini features an expanded 8x8 multicolor clip-launching grid that’s built for hands-on exploration: launch clips, play virtual instruments, control plugins, and create your song from the ground up using 64 responsive pads. Tri-color lighting provides visual feedback and displays three clip statuses—loaded, playing, and recording—so you can intelligently perform without looking at your computer. Plus, you can use the Shift button and directional arrows to manipulate the scope of the 8x8 grid. I got it today, delivery was so fast thanks!